Positions starting immediately. Pay Rates range from $8 – $12 per hour…. 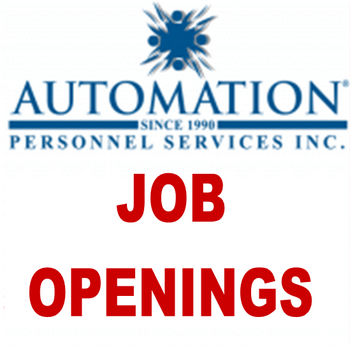 Automation Personnel Services will be hosting a job fair…. February 12th, 2014 at Springfield Career Center from 9 AM – 12 PM. Positions include: Forklift & Machine Operators, Quality Inspectors, Quality Lead Inspectors, and Assembly. Pay Rates range from $8 – $12 per hour. All interested candidates must bring two forms of identification. Drug Screen and Background Check are required. Call (615) 361-8806 for more information.